Cape Medical Supply : About : Buy Your SoClean2 Today! Home » About » Blog » Buy Your SoClean2 Today! Cape Medical Supply’s online CPAP store is here and our patients are finding great deals every day! This convenient sales platform for CPAP supplies, devices and accessories has been very popular since launching last month. Cape Medical Supply’s sleep therapy customers can browse products, place orders and have them delivered to your doorstep, all from the comfort of your living room. Today’s store spotlight features one of our most popular cash sales items – the SoClean2 CPAP supplies cleaner and sanitizer. 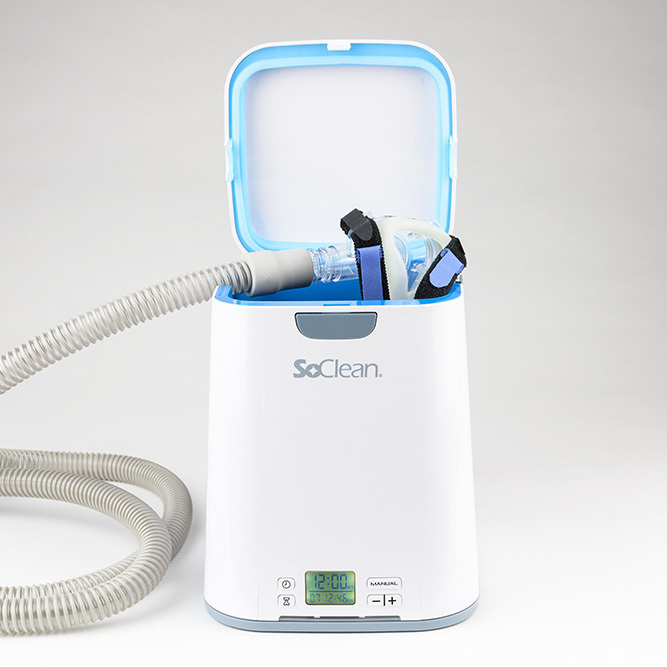 The SoClean2 is an automated CPAP cleaning and sanitizing unit that kills 99.9% of CPAP germs and bacteria in your mask, hose, and reservoir with no disassembly, no water, and no harsh or messy chemicals in order to enhance your home CPAP experience. It makes cleaning and maintaining your CPAP supplies as easy as pushing a button. Cape Medical Supply’s CPAP users have been raving about this product since we began selling it and we are thrilled to introduce this new, simplified way to order and receive your SoClean2!